Having served time in the military, it is often difficult for veterans to adjust with common trades and office environments. It is hard to give up your military lifestyle and re-start your career again as a normal civilian. In order to become a professional expert in a particular domain, it is essential to gain job-specific skills and understand how things work in that sector. This requires a constant commitment and consumes a lot of time. Fortunately, for making the transition process easier, a plethora of businesses have started providing specialized training programs. These programs are designed to enhance the employability skills of veterans and getting them acquainted with the actual work scenarios. Becoming a professional heavy equipment operator is a viable career option. As per the Bureau of Labor Statistics, with moderate-term on-the-job training, any individual can earn more than 40,000 dollars per year. 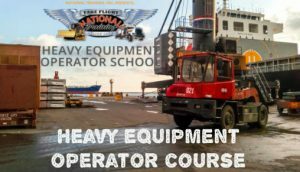 Heavy equipment training programs provide comprehensive training for making participants familiar with the real-world scenarios of this job. They provide a professional certification that serves as proof of your skills. Getting a valid license also becomes extremely easy when you have a undergo such training. Adaptable Equipment Proficiency Testing (ADEPT) and National Commission for the Certification of Crain Operators (NCCCO) are two of the most respected professional certifications in this industry. Heavy equipment operator training for veterans is designed in such a way that the participants get a fair chance to make the transition without feeling over-burdened. These training programs consist of both knowledge-based and on-the-field sessions so that the participants can slowly acquire every skill required to do this job. Heavy equipment operators tend to stay much more satisfied with their job than those involved in other industries. This is due to the fact that this industry offers more growth opportunities, upper management support, great co-workers, etc. It is the ideal career option for veterans who want to get a new job without any hassles. This job will allow them to take responsibility, earn medical benefits and lead a comfortable lifestyle. National Training, Inc. (NTI) is a well-established heavy equipment operator school that offers training programs for veterans. They have adequate facilities and staff for providing entry-level machinery and equipment operator training. Get in touch with them to know more.